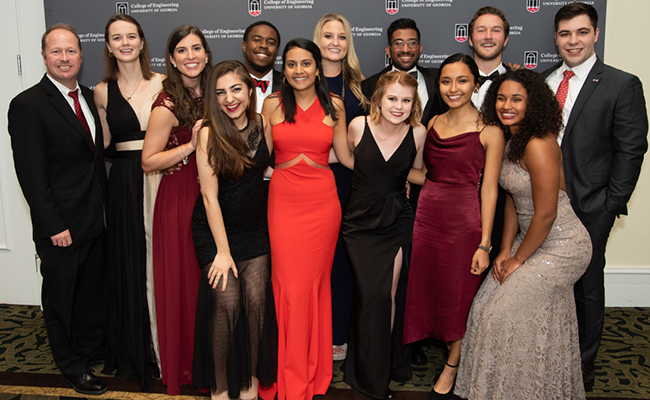 As a graduate of the University of Georgia College of Engineering, you are part of a network of Bulldog Engineers who are committed to improving their communities and the world through research, industry, academia, and society. Your ties with UGA and the College of Engineering last far beyond graduation. Throughout your professional and personal life, the bonds you forged, the skills you learned, and the capacity for success you developed during your time in Athens will benefit you time and again. Browse these helpful links and resources to advance your career through alumni networking opportunities and to stay up-to-date on news and events at UGA Engineering. Meet the staff of our Development and Alumni Relations office. Keep up with innovation and research news; learn about notable students and alumni; and find out what’s happening with former classmates. The UGA Career Center and UGA Alumni Association are partners in providing resources to help alumni find meaningful careers. Need to update your contact information? Have some great news to share? This is the place.